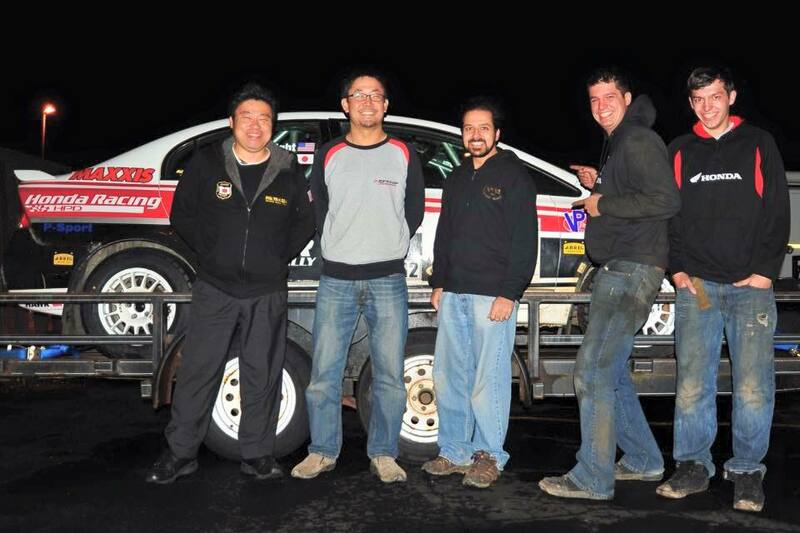 October is turning into a busy month for two of the Japanese rally teams I keep in touch with. 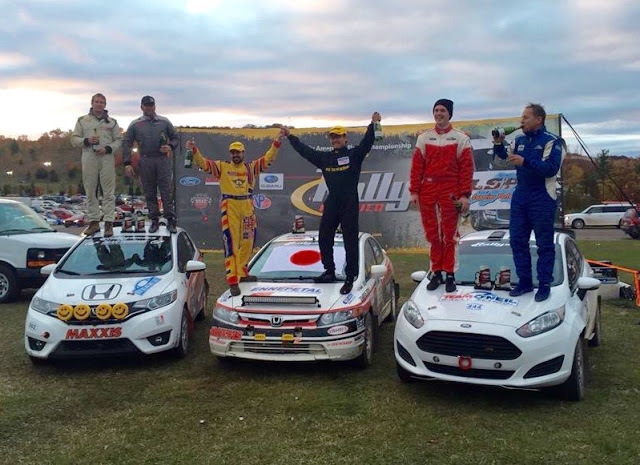 The K’s World Rally Team, who travelled to Scotland to contest the Scottish Rally in June, were back on FIA Asia-Pacific duty on last weekend’s Rally Hokkaido. Nagano hot-shot Kohei Izuno, who was on the pace notes when the team came to Dumfries earlier in the year, was back in the driver’s seat for Japan’s top-level stage rally. Driving a Suzuki Ignis similar to the one he piloted to a class win on WRC New Zealand last year, and with Shogo Ito co-driving, 23 year-old Kohei finished first in class and sixteenth outright on the Obihiro-based gravel rally. Not even twenty five and winning classes on FIA-level events in a club spec Ignis? We really need to start calling Izuno the ‘Japanese Kris Meeke’. Mind you, he did manage to forget to take his class trophy away with him, and had to wait until the rally office posted it to the K’s garage in Ina! Unfortunately the other K’s car – the Civic Type R of Yasuharu Ono and Shinji Yoshizawa – contesting the national event retired with mechanical trouble early on the final day. 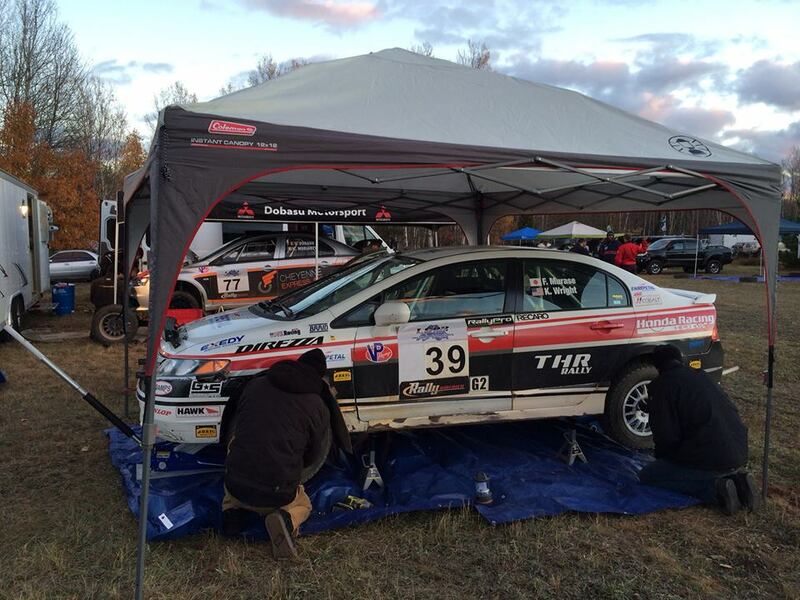 Meanwhile, spin the globe right round to the other side and you find Futoshi Murase preparing for his second event Stateside, as he continues his campaign of selected events in the Rally America National Championship. The RSTakeda supported engineer, who hails from Gifu but currently calls Indianapolis his home, is back out in the bright yellow two-wheel drive Ford Focus with co-driver (and former owner of the car) Kieran Wright. 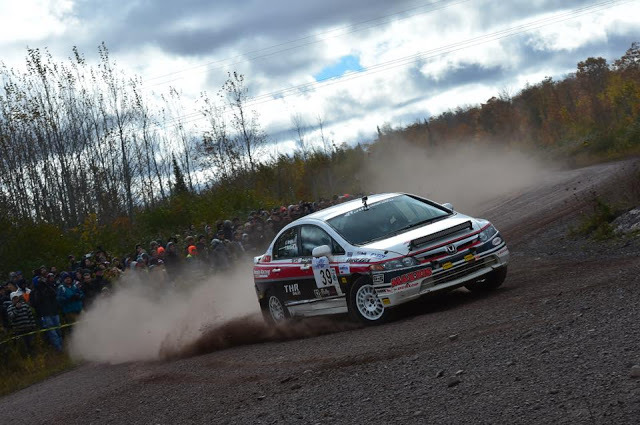 Futoshi and Kieran head north for the Lake Superior Performance Rally on 18-19 October. 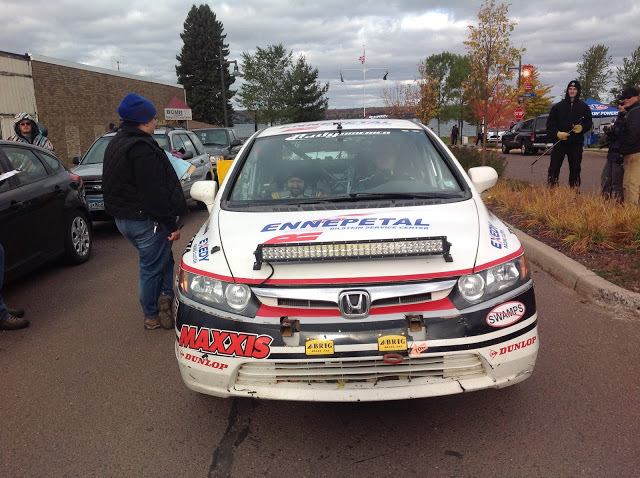 The rally is based in Houghton on the Upper Peninsula of Michigan state – I’ve never been to the Upper Peninsula, but from what I can gather, with a low population density, twisty rural roads and strong accents, it sounds like a US version of the Black Isle where I grew up! RSTakeda were also in action on the national section of Rally Hokkaido, 20 year-old hot shot Hiroshi Tsuji sweeping to the Open Class win under the guidance of seasoned co-driver Hiroaki Miyabe. Hiroshi was driving a turbocharged Toyota Starlet – presumably one of only a few that hasn’t been exported to the UK and fitted with a massive turbo. Seriously, though, as I’ve come to expect the car was immaculately turned out, with a more subtle variation of RSTakeda’s trademark livery. Tsuji-san is another one who looks like a real talent for the future, as the video below of him on another rally earlier in the year attests.